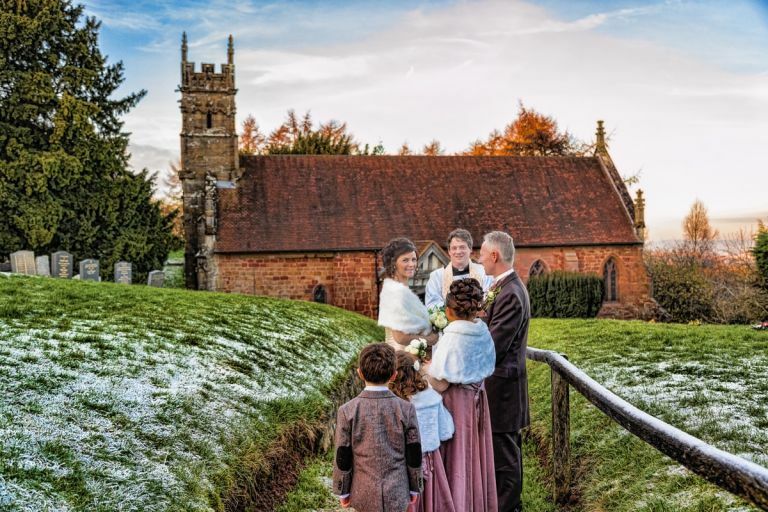 Are you planning a Christmas Wedding? Christmas weddings have a different set of pros and cons to the traditional summer wedding. They can be great fun because people are already in the party spirit because of the season. Obviously, my view of things is geared to what we would use to provide you with the images that you would like for your wedding. Some daylight for your arrival at the church and, preferably some of the family group and confetti shower images is obviously preferred for any Christmas Wedding. If you can get the option of choosing the time of your ceremony a lunchtime one might suit your needs. We start to lose daylight from about 3pm so a noon-1pm ceremony would give you plenty of opportunity for your images after the ceremony. 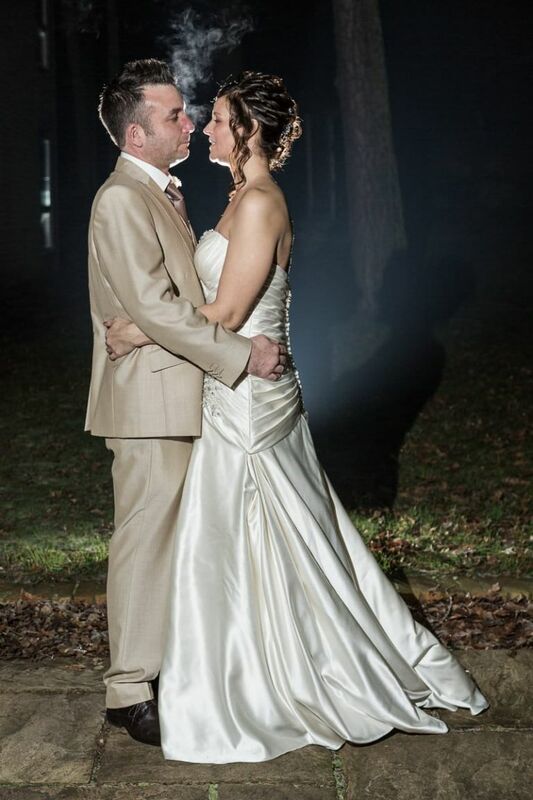 If your wedding is being held at a hotel or other all-inclusive venue you have more flexibility a there may be outdoor areas with some lighting or indoor areas that lend themselves to a different twist on your photographs. Staircases or rooms with lots of old-style wooden beams and panelling have a lot going for them to give variety to the normal way of setting groups. Not as common as they used to be but a White Christmas can be a benefit and a curse. Fresh snow that hasn’t had people walking all over it can make for a wonderful backdrop particularly with lit trees amongst it. On the other side of this is the need to risk assess the venue for the arrival of, particularly, the bride. If you are at a church does it have a steep slope or stairs leading to it? Even in a frost, the normal bridal footwear is not best suited to getting down slopes or steps in a dignified manner. Again hotels usually don’t have this problem but gritted driveways and entry steps can be gritted and make a mess of shoes and clothing. A frosty evening can make for some great images but have someone ready with coats to put around you in between shots to keep warm. Sparklers always seem to me to burn brighter in frosty conditions. An evening venue where the guests can stay over just in case of adverse weather is always a good choice. Taxis for guests can be expensive at a Christmas Wedding so many guests might take up the option. Something that we always recommend to every couple is wedding insurance. This is never more needed than with winter weddings. The potential for adverse weather to delay vendors, power cuts to mean the unavailability of a venue etc is greater in winter. For a relatively small premium, the potential for loss is covered. Don’t forget that if one vendor is taken out you might get a refund from them but it is unlikely to be the case with your other vendors. 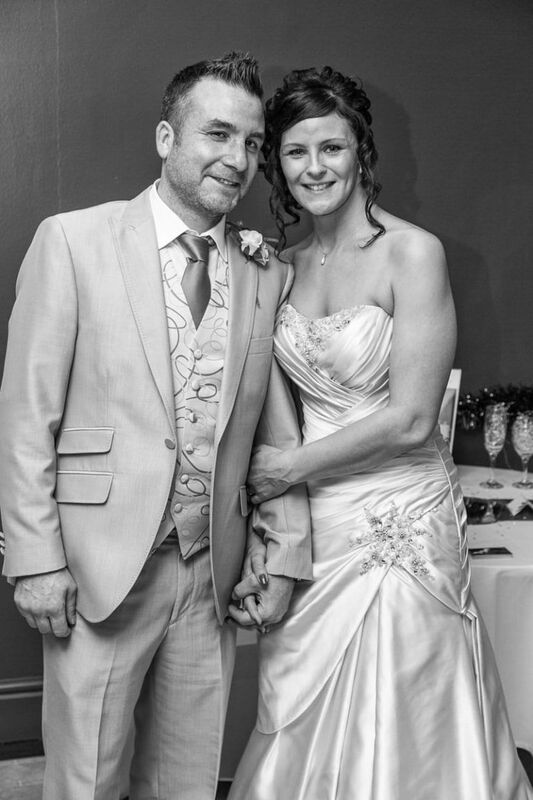 We have always enjoyed Christmas Weddings and look forward to another in the future. Be different, go for Christmas time and think of all the different combinations that will make your wedding day unique and keep the Christmas party season going for a little longer.